Google has prevailed in a court case, filed by U.K. online mapping company Streetmap, accusing the search giant of anticompetitive behavior. The case, which dates back to 2013, charged Google with abusing its dominant search position to promote Google Maps at the expense of Streetmap's service. Google abused its position by placing a Google Maps clickable image at the top of its search results page and relegating Streetmap to a link lower down on the page, Streetmap contended. 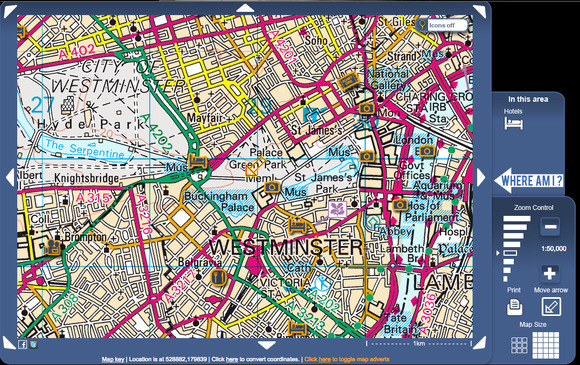 Streetmap had operated for several years by the time Google Maps arrived in the U.K. in 2005. Google's addition in 2007 of a clickable thumbnail map atop search pages effectively ruined Streetmap's business, the company said. The U.K. High Court of Justice saw it differently. Google's conduct was "objectively justified," ruled Justice Peter Roth. "On the assumption that Google held a dominant position, it did not commit an abuse." More specifically, the evidence did not support Streetmap's argument that Google's clickable map had an appreciable effect in diverting users away from other online maps, Roth explained in his Friday decision. "This case is not a quality contest as between Google Maps and Streetmap, and I have no doubt that there were (and no doubt remain) aspects of Streetmap which some users prefer to Google Maps," he wrote. "Nonetheless, it seems clear to me that while Streetmap may have been an innovative pioneer in online mapping," Google offered more advanced features by early 2007. The success of Google Maps in the U.K. can be explained by "a range of factors" unrelated to the introduction of the clickable map in search results, he added. Moreover, competition by a dominant company is "to be encouraged," Roth wrote. Google applauded the decision. "The court made clear that we're focused on improving the quality of our search results," the company said in a statement. "This decision promotes innovation." Streetmap didn't respond immediately to a request for comment, but the company is reportedly planning an appeal of the decision. Google must still face several probes by the European Union’s antitrust regulator into its alleged dominance in several other areas, including Android and Google Shopping. Recently, EU Competition Commissioner Margrethe Vestager indicated an interest in Google's U.K. tax affairs as well.